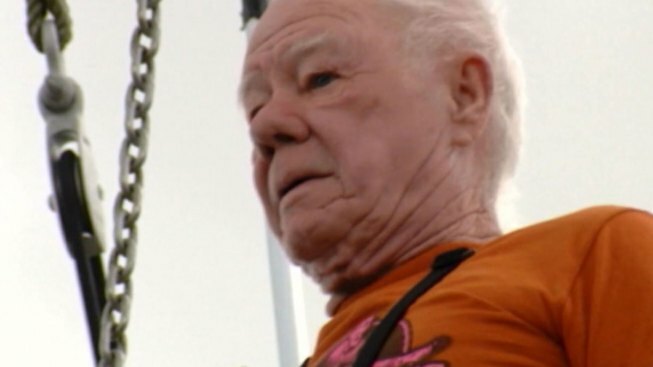 Famous trapeze artist Tony Steele had a stroke in January, but he didn't let the medical condition keep him down for too long. The 78-year-old was hospitalized for almost a month in January, recovering with 52 staples in his head. But when he was well enough, he started practicing trapeze again in the backyard of his home in Haines City, Florida. Steele holds three records in the Guinness Book of World Records for tricks he performed in the 1950s and 1960s. He joined a professional circus when he was 15 years old. Flying on the trapeze is different now, it’s a lot harder, he said. But he’ll keep doing it as long as he can. “When I can’t make it up the ladder, you stop when you have to,” Steele said.